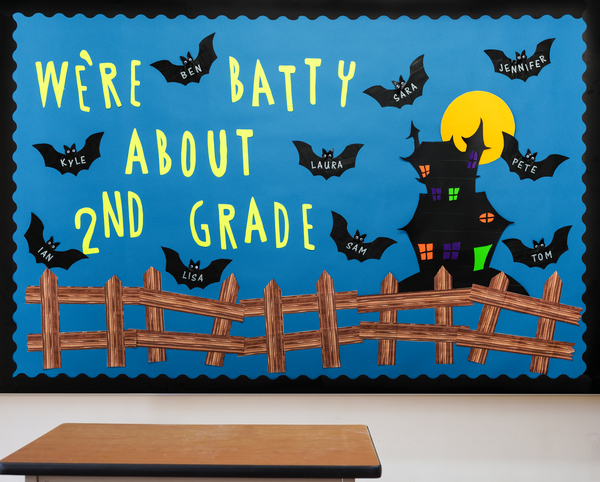 All it takes is some googly eyes and a little imagination to make this batty bulletin board. 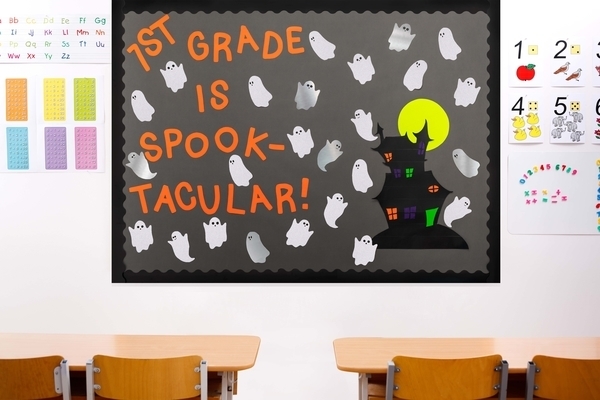 Mix duct tape, mirror tape and glitter tape to make these friendly classroom ghosts. Simple, but fun. These duct tape circles make easy Halloween name tags. 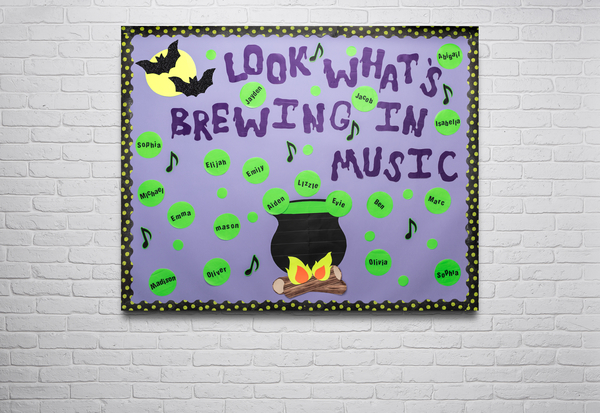 Create a pumpkin patch scene with bright colors and metallics.